When it comes to cyber security, the Department of Defense (DOD) is working diligently to detect and thwart insider threats. One key approach is training internal users of a system on safeguards, signs of an attack, and what to do if something goes amiss. In developing this training, we injected some serious game theory – because learning is just faster and more effective when it includes a little competition, challenge, and fun. 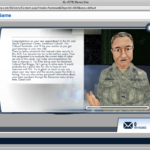 With XL-CITR, employees at the DOD can learn this stuff fast, by using a gamified learning platform that trains them to take proper action to reduce or eliminate cyber risks. XL-CITR was developed to address the need to detect and thwart insider threats to cyber networks. XL-CITR is a web-enabled, accelerated, comprehensive training delivery platform that employs serious games, content filtering, competency-based certification, and reporting. It’s designed to train military supervisors to understand insider threat problems and take proper action to reduce or eliminate the risks. The XL-CITR project included development of the accelerated learning (XL) framework designed to accelerate both the learning pathway and process. In addition, a competencies model and supporting learning outcomes were created. The competencies needed for this system are relevant for any learning context; therefore, this laid the foundation for a templated process for producing customized learning systems. We developed an insider threat model and scenario-based game elements that served as the basis for the training simulation. In addition, we built a web-based LMS designed to both filter content based on relevance and an individual’s demonstrated competencies, as well as, deliver the training content. The system was also designed to allow learners to have the opportunity to play game scenarios multiple times to further ensure mastery. 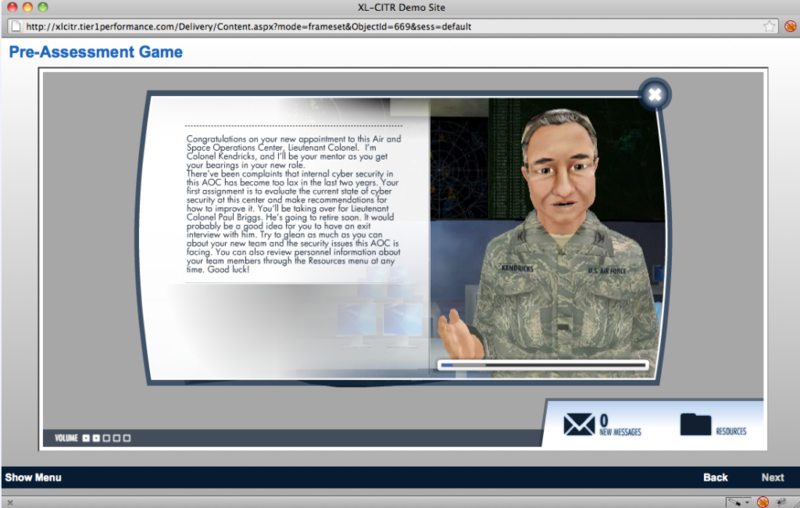 The scenarios and platform were developed to allow modification of the game content for training in any context. Lastly, this project entailed the validation of a competency-based certification and reporting system that aligned with the competency model. The reporting was developed to allow managers to see competency-level summaries of learner performance.